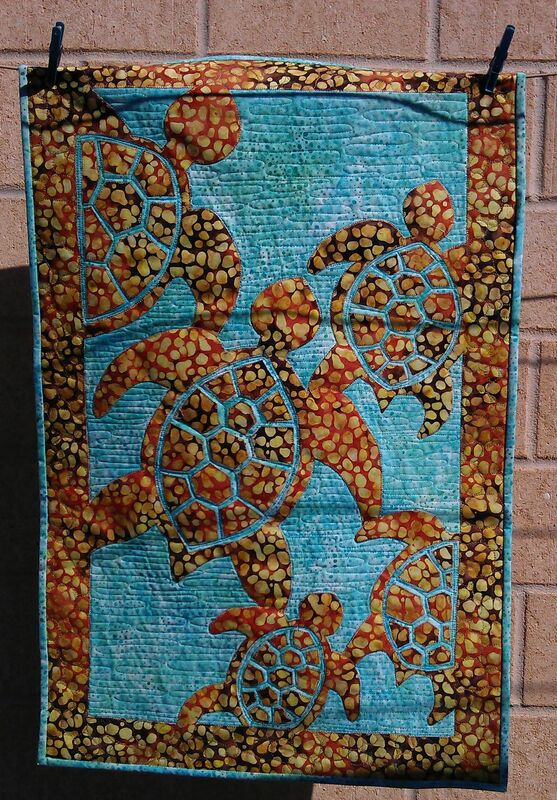 The fabric used for the turtle quilt is perfect!!! The whole design is so appealing and beautifully executed! 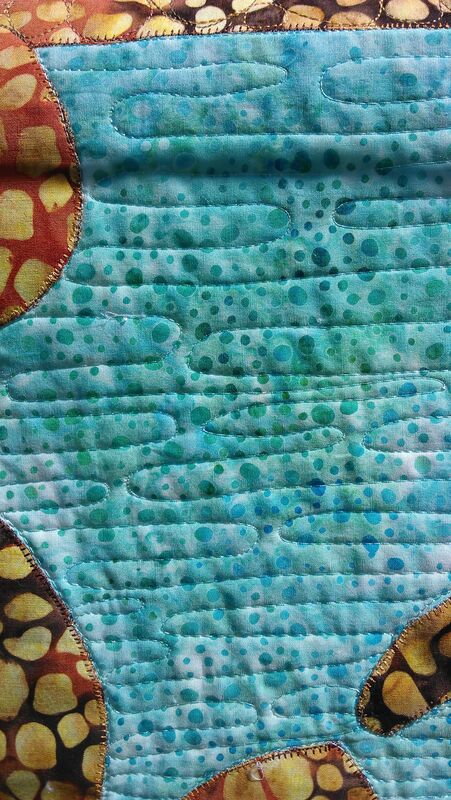 The quilting is lovely and really accentuates the whole theme! Well done! Love turtles. Love the quilt. A group of turtles is called a bale- a tidbit of useless information! 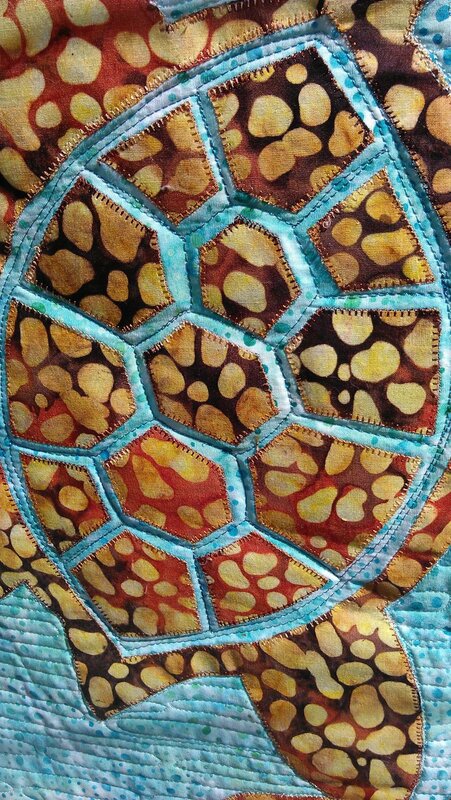 Love the pattern and the material you used! Very striking! 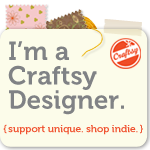 The link to the pattern company is in the second paragraph. What is the fabric used for the turtles?